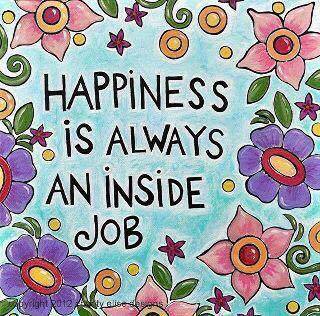 Happiness is always an inside job. Do you agree? I found this photo this week and was drawn to use it as a post on FB and now as the topic of my weekly blog. This statement goes along with everything I talk about in my blogs and with everything I share with others. As I’ve talked about many times, we are all creators of our lives. Only are you a conscious creator? Do you take responsibility for what you do or don’t have in your life? It’s truly up to you to create the joy or happiness inside of you every second of every day. Whether you choose to know this and become aware of what you’re thinking and feeling or not. This is truth. In one of my readings today, it stated that as you take time each day to simply sit still for just 5 minutes feeling the feelings you want to have in your life, you will be creating them in most of your moments. As you spend time feeling all of the feelings on the left side of the Emotional Scale, for just 5 minutes each day, where all of the emotions are of a higher vibration, such as joy, love, appreciation, passion, enthusiasm/eagerness, hope, optimism and contentment, you will attract or draw into your life more of the people and circumstances you long for. You and the people in your life will notice a shift or difference in you and your behaviors and attitudes. You’ll be living in more alignment every day creating a life you love. I encourage you to begin to practice this exercise for just 5 minutes, as many days as you can. So you ask me how to do this? Go back to consciously looking around yourself more moments of your day than not, finding things and people to appreciate. Look for the good in others and in yourself. Begin your day with at least one inspirational quote or reading. Write in a daily gratitude journal. Take time to do something you absolutely love to do each day. I love to put on music and sing while I’m in the shower and getting ready! Listening to music you love often will shift you to feeling happiness, love, joy, enthusiasm and appreciation. What else can you do? What else do you enjoy doing? Begin to do whatever it is on a regular basis. 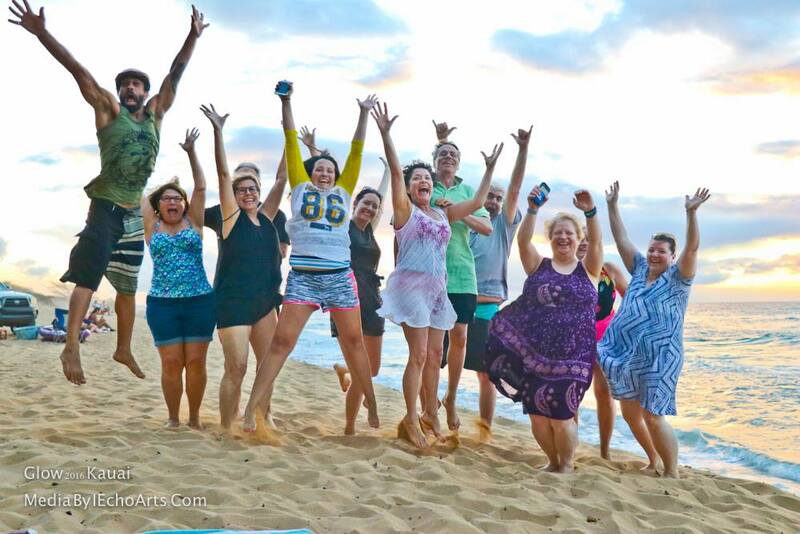 Join us October 27-November 3, 2017 on the gorgeous island of Kauai for a 7 day/7 night Spiritual Vacation Retreat like no other! It’s guaranteed to help you live in more joy than you ever knew existed! You will learn from me about 10 of my favorite Universal Laws that are tools to help you become a conscious creator, living a life you love more moments than not. You will be pampered with massage our own chef and guides as we explore this magical island and much, much more!